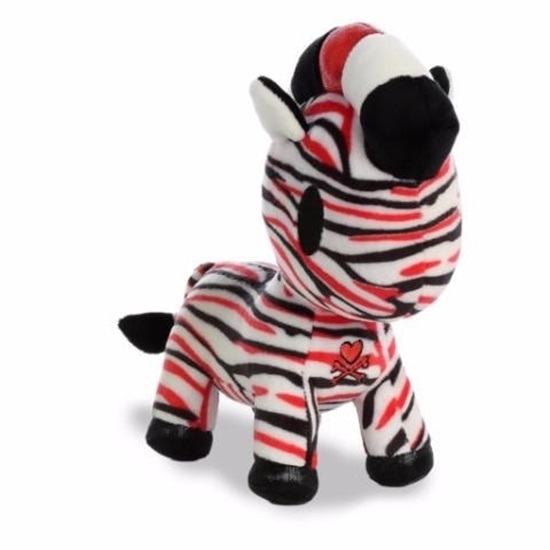 Meet "Zamba" the Unicorno from the Tokidoki line by artist Simone Legno. "Zamba" is 7.5 inches tall and is made up of multicolored soft plush with shimmer material in her mane and on her hooves. "Zamba" is perfect for all ages.